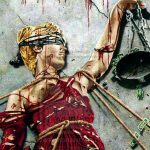 Former METALLICA bassist Jason Newsted spoke to Ultimate-Guitar.com about his decision to shelf NEWSTED, the heavy metal project he operated between 2012 and 2014. “There was a couple things that were very good and then a couple things were very bad,” he said. “When it came down to the money stuff and just having to wear all the hats and doing the writing, singing, playing and paying for everything, it was just too much of a load. In addition to Jason, NEWSTED’s lineup included Mushok on guitar, Jesus Mendez Jr. (THE NAPOLEON BLOWNAPARTS) on drums and Jessie Farnsworth on guitar. Jason in February 2014 canceled an appearance at Australia’s Soundwave festival with NEWSTED, citing “private and personal circumstances.” The cancelation followed more than a year of intense touring and promotional activity surrounding the release of NEWSTED’s “Metal” EP and follow-up album, “Heavy Metal Music”, both of which were positively received by the critics and fans alike. 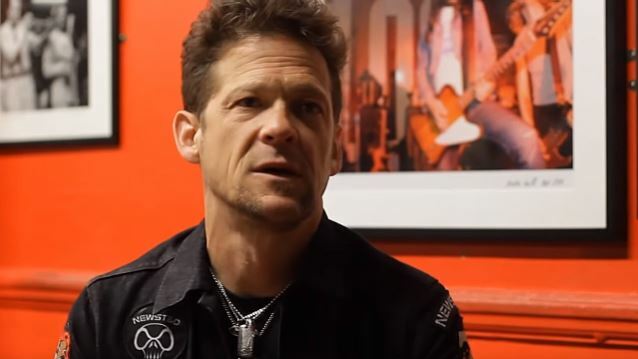 After staying mostly out of the public eye for a couple of years, Newsted rejoined Canadian metal innovators VOIVOD on stage during June 2016 concert at Slim’s in San Francisco, California. He has since formed a couple of new acoustic projects, one of which completed a short West Coast tour last September. 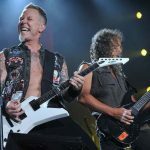 METALLICA: Official Video Of 'Halo On Fire' Performance From LOLLAPALOOZA BRASILWatch, James Hetfield and His 16-Year-Old Daughter Perform Adele’s "Crazy for You"